Well, actually not fantasy at all....... I picked up a bunch of miscellaneous lead the other week off evil bay because it included some GHQ 'Guardsmen 25s' - never heard of or seen them before so I was intrigued. Very nice figures from the 80s possibly? Haven't researched them yet...Fusiliers and Scots Troopers...more info when I have it. 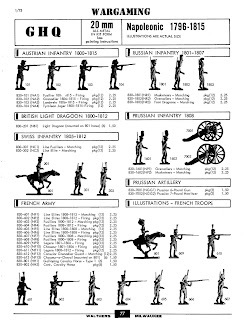 New Hope Design were an English company I followed avidly in the 70s and 80s based up in Northumberland - lots of 54mm and a few 25mm....they imported/produced the incredible 1/285 US GHQ military models. 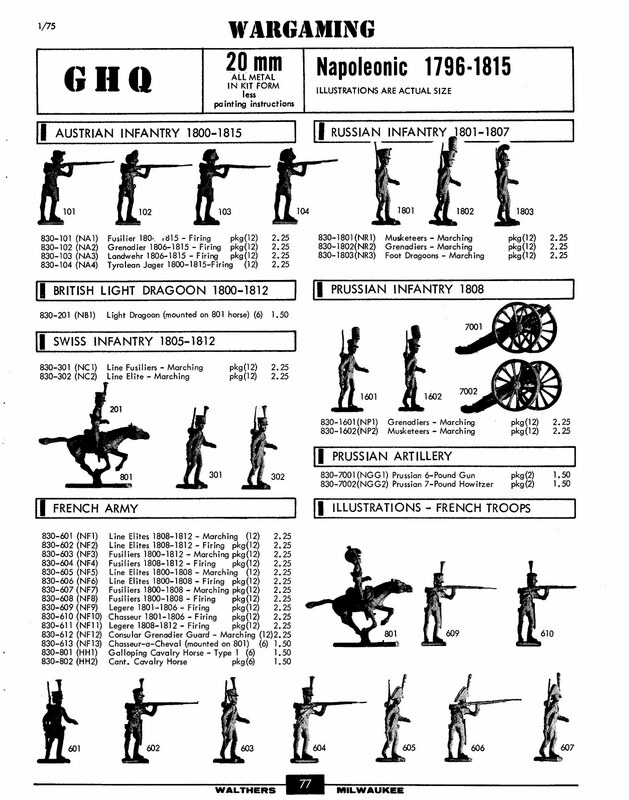 The Guardsmen were 20mm Napoleonic figures that GHQ produced a long time ago. Unfortunately they are ancient history at this point (probably about 40 years old), and we don't have any information easily available to give you. If you do a Google search for things like "GHQ Guardsmen 20", you will find that there are some people who have made scans of our old product listing for them, pictures of the packaging, etc. Search on GHQ or check his labels. Brilliant pyramid of the hobby....you start at the top and it just gets better. Pics below with permission but check the site for more! Also check out http://unfashionablyshiny.blogspot.co.uk/ for more old school goodness. Finally 4 gladiator types...well, 3 and a senator of some sort.....been in the paint queue for 4 years at least........still more work to do but thought this might give me the impetus to finish them! Thanks! How embarrassing......I'd been looking up the Char series for ages......no idea why I typed the wrong one! I'll amend it now!